Of all the Rooms in Your Home which do You Think is the Most Dangerous? 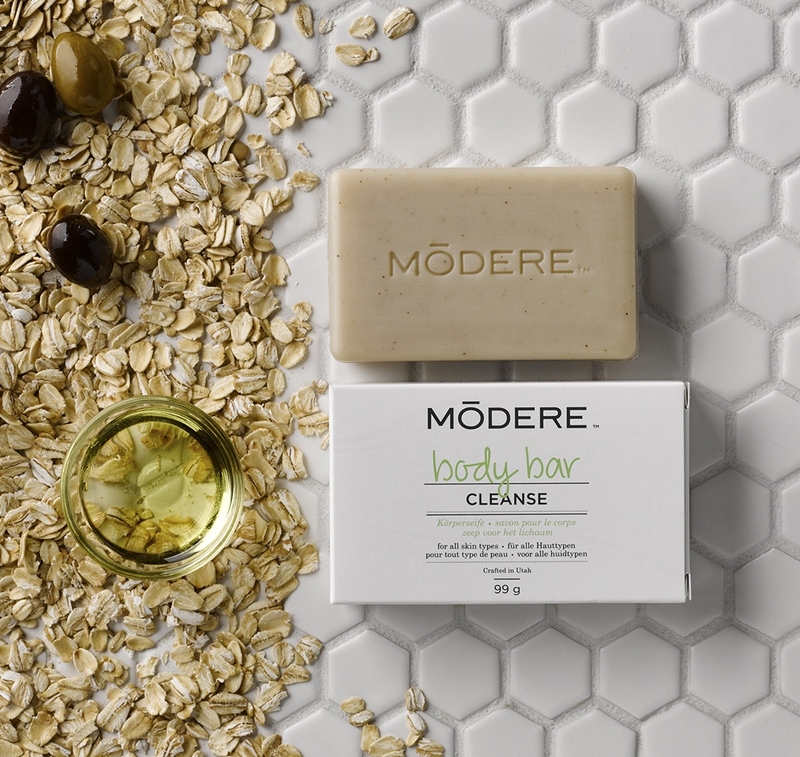 Well, many of the health challenges we face today are caused by inadequate nutrition and exposure to environmental toxins and the skin, the body’s largest organ, is like a sponge, soaking up whatever we put on it. For this reason we need to pay as much attention to what we put onto our bodies as to what we put into them. 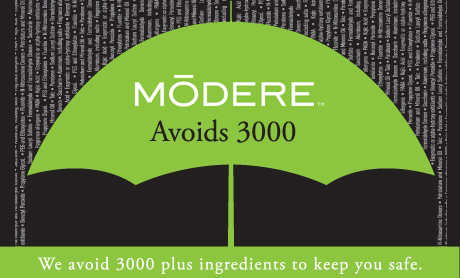 Modere currently AVOIDS more than 3000 commonly used ingredients because the are either not safe or their safety is unknown! Modere have done the research and have chosen to avoid more than 3000 ingredients routinely used in the manufacture of personal care products – without sacrificing quality or performance. In fact, replacing certain ingredients has actually enhanced effectiveness. What was the First Product this Company Made? 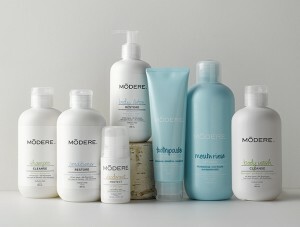 This Collection is a simple and convenient way to sample 10 of their best-selling personal care products. They deliver not just performance but also peace of mind with their safety-conscious formulas. 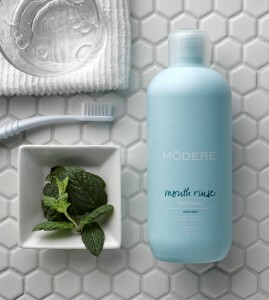 The Bathroom Collection by Modere enhances and improves your appearance with products designed to beautify, cleanse, and renew. A Perfect Blend of Science and Nature. 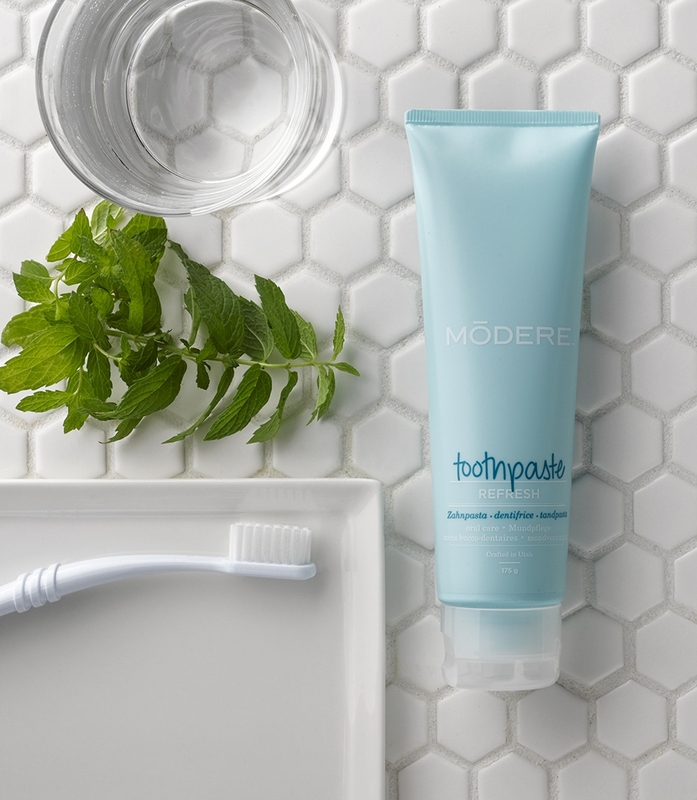 Modere toothpaste is are not actually paste -it’s a light, clear gel. It contains an ingredient, harmless to us, which dissolves food film and destroys bacteria -not that there are a lot of those because there’s a lack of food film for them to eat!! At my last appointment, my Dentist remarked that my teeth were very clean. I answered that of course they were because I’d just cleaned them. I wouldn’t come with dirty teeth! His reply was, “No, I meant there is no plaque for me to remove. See you in A YEAR” ! They contain no harsh abrasives or chemicals to damage the inside of the mouth or to be absorbed into the blood stream. One friend no longer suffers from mouth ulcers and another who had suffered burning sensation 24 hours a day, which the doctor and dentist could do nothing about, no longer has that problem. They are also value for money. It lasts me at least 3 months. Below is a warning on a toothpaste I bought in the USA. It is a big seller here too but UK law does not require the warnings. 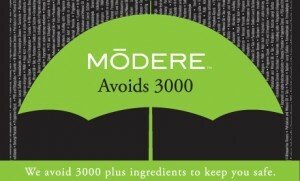 Modere toothpaste needs no warnings because it is both effective and SAFE! This is important because the quickest route into the blood-steam is under the tongue. Modere Mouth Rinse eliminates bacteria and is the perfect partner for the toothpaste because it too dissolves food film and removes mouth odours (e.g. onion breath). 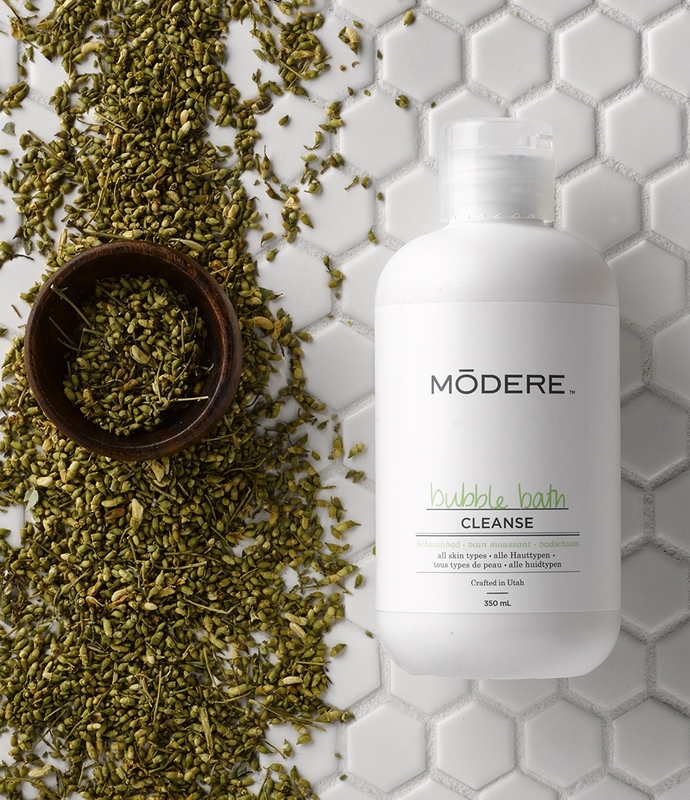 It is also gentle, causing us no harm because it contains no alcohol nor harsh chemicals. After thoroughly rinsing, don’t eat or drink for 15 minutes to allow it to continue working. It has other uses too. A few drops works better than cold water when you burn your arm on the oven door. It also removes beetroot and red wine stains from white cotton. I can supply a full list –just ask. Modere has 2 shampoos, both mild and gentle but extremely effective. 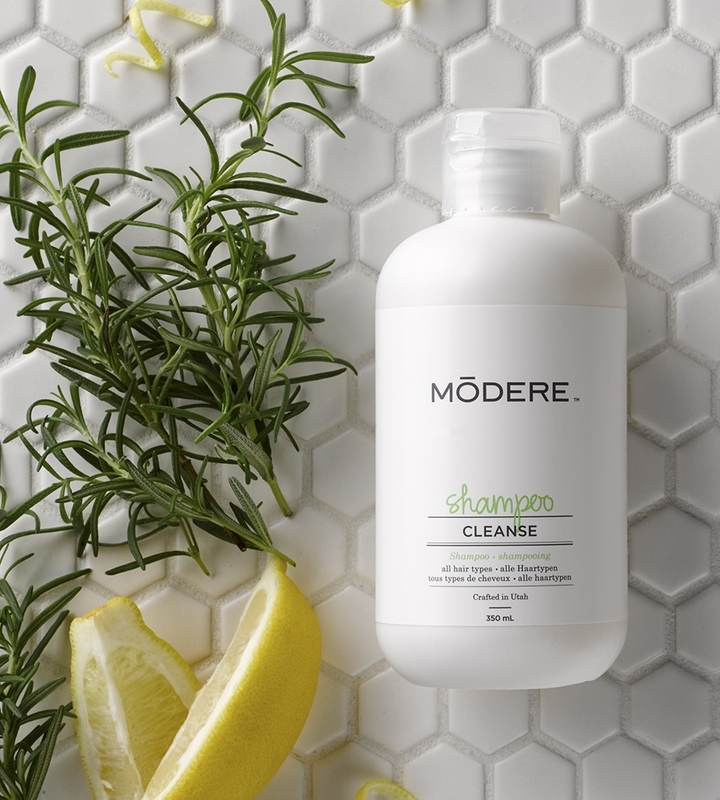 I’ve used the same shampoo since 2000 – no burn out! An All Purpose Shampoo and a Moistursing one. I use a plunger in the shampoos because then I can control how much shampoo I am using so that I don’t waste any. 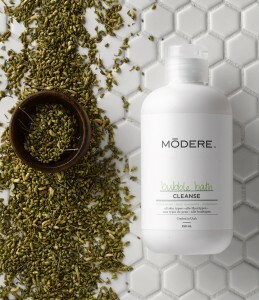 Many ladies have sparse hair due to an ingredient that Modere has never used – SLS. It corrodes the hair follicle so that instead of growing for 2 years, falling out for 3 months and then regrowing for 4 years, the hair grows slowly for 2 years and falls out before slowly regrowing for 2 years. The cumulative effect is a lack of hair. I don’t have that problem. Despite my “advancing years” I have a full head of healthy hair. All Purpose Conditioner is unusual. Do not rinse it off immediately. 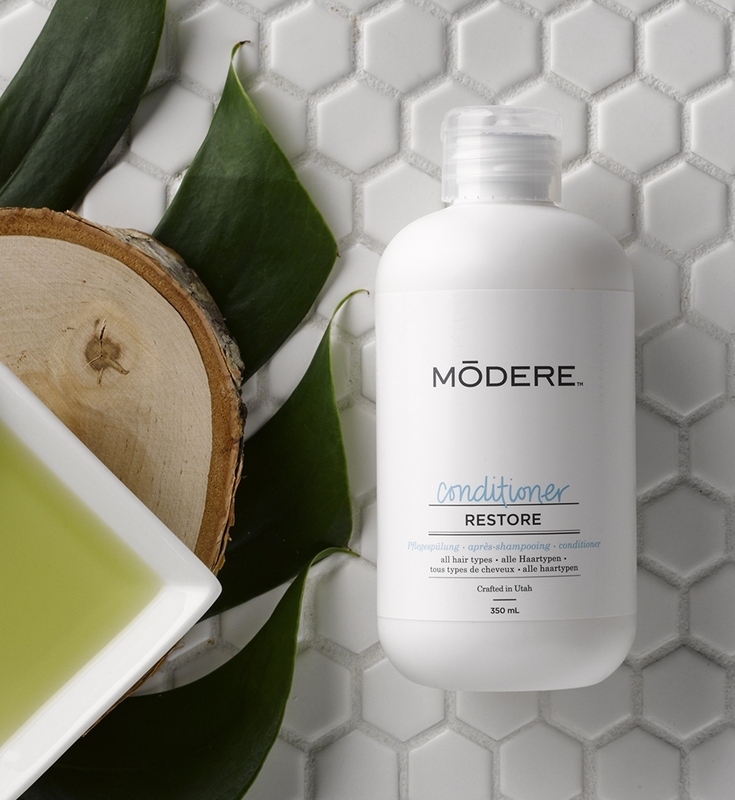 Leave for a few minutes because, unlike other conditioners, it does not coat the hair, it is absorbed by the hair shaft, moisturising and strengthening it. The shine comes from light which is reflected from its now smooth surface. In fact, I don’t rinse it off so it continues to protect my hair from the environment. For those who like hand soap there is a cleansing bar. It is vegetable based so it contains no tallow. It exfoliates without damaging your skin and the scent is provided by natural essential oils. 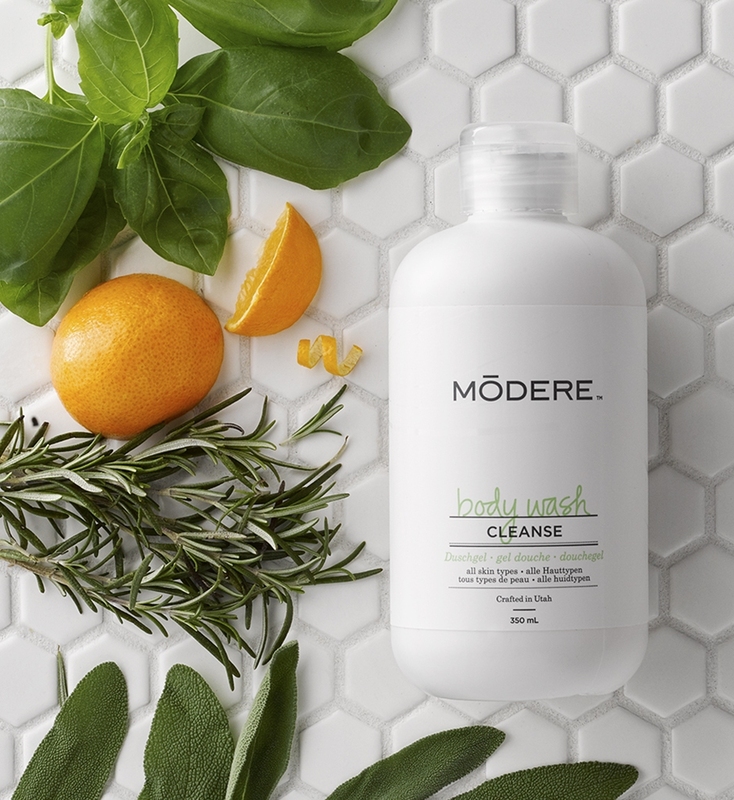 As its name suggests Modere Shower Gel is a gel so that it does not dry the skin. It leaves it soft and refreshed. It’s perfect in the shower, bath and for washing hands because it’s good for all skin types, sensitive and delicate skin. It is wonderful for babies and young children because it’s toxin free. 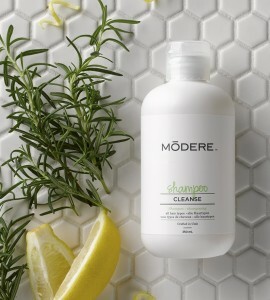 I always dilute it into Foamers for ease of use on the bathroom and kitchen sinks. I love the Bubble Bath. A couple of capfuls into running water provides luxurious relaxation and helps you sleep. It does the same for fractious babies too!! 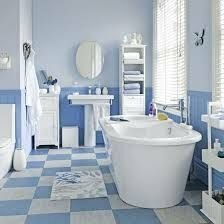 It has a beautiful smell and once a week I treat myself to a long relaxing soak with a cup of coffee and a book! 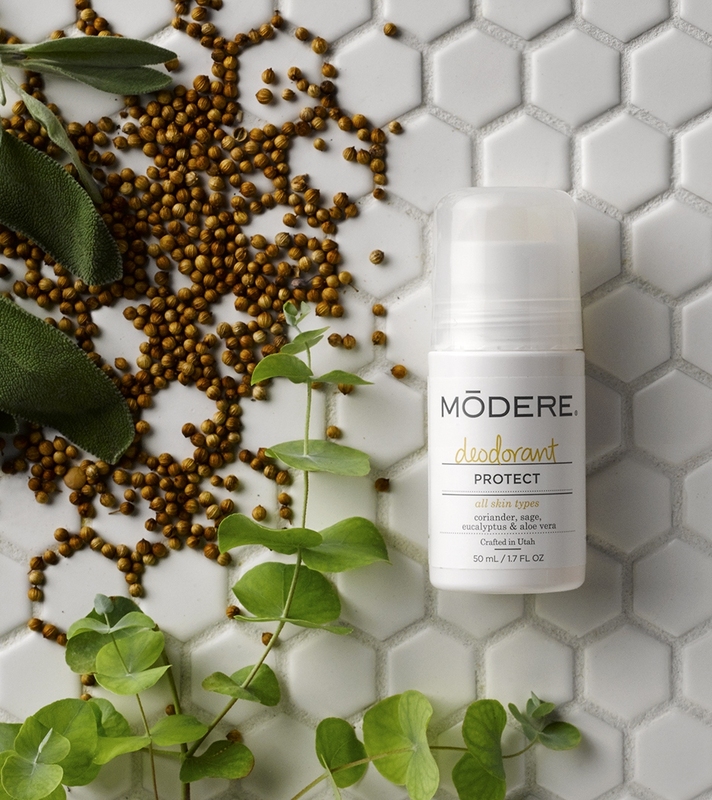 This is a powerful deodorant with naturally deodorising herbs that keep you fresh without upsetting your skin’s respiration: coriander, sage, eucalyptus and aloe vera. NB. this is not an anti-perspirant. Perspiration is the body’s way of getting rid of the toxins and other waste products which accumulate in the lymphatic system (the body’s sewage system.) The skin is our largest detox organ and when this function is interfered with, our health is adversely affected. It does not contain aluminium salts. 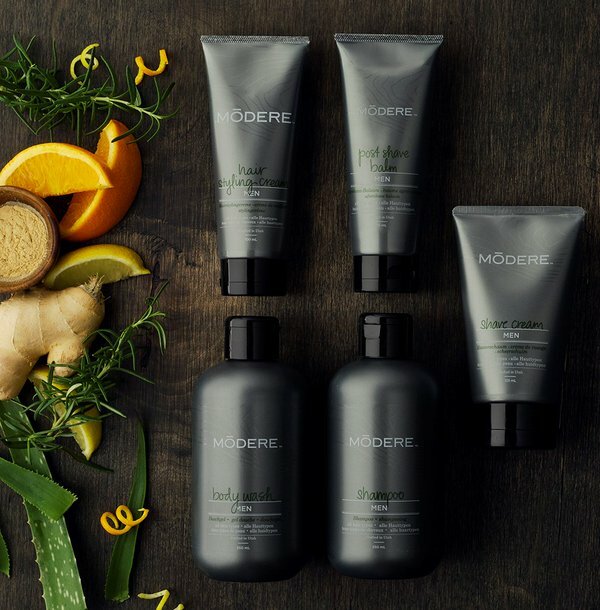 With naturally-derived ingredients and a clean, pleasant scent, all men will enjoy a little bit of luxury – and the Body Wash comes for free when you buy this collection! This is a new range and a friend’s father said his skin felt wonderful after using the Balm. New Customers receive a Welcome Gift of £10/10 euros/$10 off your First Order (applied at the Checkout). To see our full range — or to place your Order in our New On-line Shop please click on one of the following links. “Collections” is another good place to look. Insufficient time to open an Account and order?? EXCITING NEWS:- Be rewarded when you “Share the Love”. Have birthday gifts and more. The more points you accumulate, the greater the “Modere Rewards”. 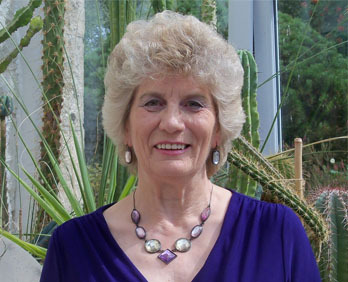 ** or contact me direct for help using the CONTACT button at the top of this page.